Jiu Jitsu Pasadena - No Gi Kings of Submission | MMA Fighting Events Videos Techniques UFC Fight Picks and News. 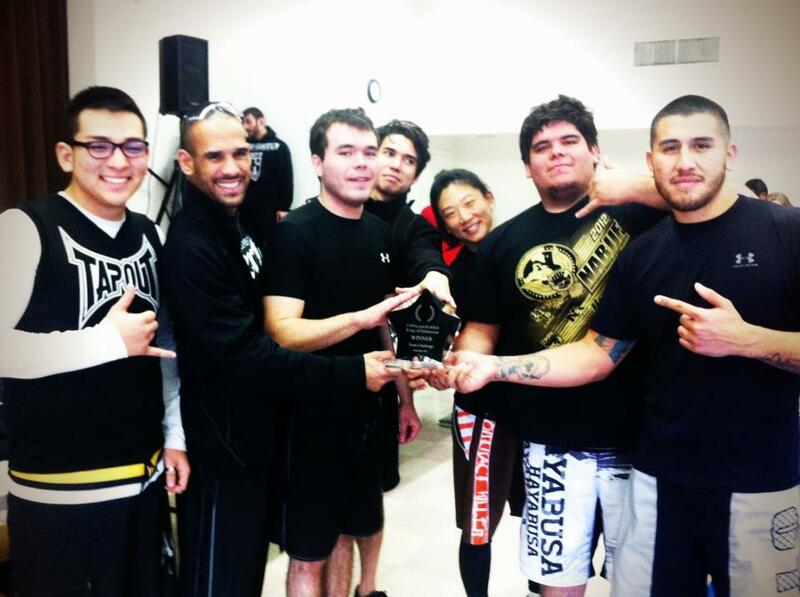 Last Saturday, the Chingasos MMA Kings of Submission challenge went down in Pasadena, California! Five of the best Mixed Martial Arts gyms/schools in the Los Angeles area entered teams to win the KOS trophy. Here are some thoughts from Chingasos MMA Lieutenant, Ricardo Robles, who was in charge of managing the brackets, running the rules meeting and MC'ing the event. The Vault MMA and Fitness in Monrovia. Obviously, they have a good program over there. 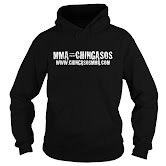 If you're looking for a grappling/MMA school, that would be a good place to check out. *The competition worked out the way we had hoped. Every single point was important. The Vault are the Kings of Submission, but So Cal MMA, in Eagle Rock, was only two points behind. Even Team Florez Kickboxing, a school known for their strikers, had a chance to win it all going into the final bracket. Their top heavyweight suffered a wrist injury which knocked them out of contention. *This no gi Jiu Jitsu tournament was completely free. However, the level of competition was outstanding. This was NOT an easy tournament to win. All the grapplers really had to work hard to earn wins in their respective brackets and earn points for their team. *Honestly, I was nervous about how things would turn out. I tend to be a perfectionist, and obviously I want everything to be perfect. Of course, everything did not turn out perfect, but I’m pretty happy overall with how things turned out. I did see adjustments we can make to make the next tournament even better. *I was happy with the level of sportsmanship from all of the competitors. I would add, however, that everyone needs to read the rules. I actually heard someone say, “I didn’t know heel hooks were allowed”. Seriously, even though it was specifically written in the rules and discussed at the rules meeting? *Thanks to Coach Tony from Villa Parke Jiu Jitsu for once again providing a venue for this no gi Jiu Jitsu tournament. Ricardo did a great job managing the brackets, running the rules meeting and MC'ing this no gi Jiu Jitsu event. We also had help from other volunteers, such as Ismael Ford, Jose Lopez, and my nephew Lupe Robles who offered up much needed help. Here's a highlight video of the event. Stay tuned for info on upcoming tournaments and other MMA (Mixed Martial Arts) events in and around the Los Angeles area as well as UFC fight picks.